The March 23 Macabre concert, Music for Our Lives, featured five acts — L.E., Leonardo DeCapitated, Paleontology, Grover Cleveland and Jerry Skyscraper. Sophomore Daniel Carney said joining Opera Ithaca Community Ambassadors is a good experience for students who want to participate in a real-world production. All too often, sexual assault takes place when it could be stopped if a friend or bystander knew how to stop it. It was problematic that very few community leaders were present at Take Back the Night. 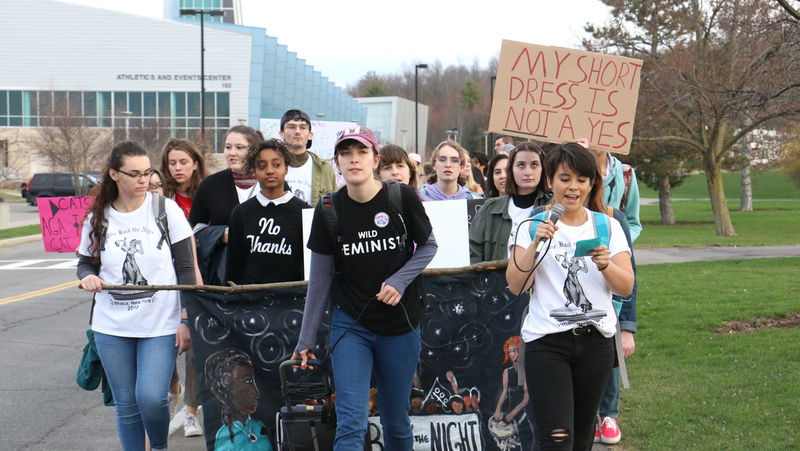 On an unseasonably cold April night, more than 50 Ithaca College students participated in a march from the college into downtown Ithaca to take part in Ithaca Take Back the Night 2015. In order to truly create a change, we need our whole society to take action, not just one group.